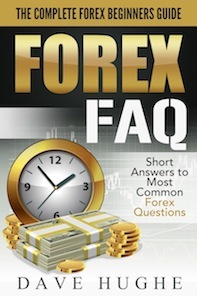 Forex FAQ – The Complete Forex Beginners Guide. FREE For 3 Days Only! If you like the book, please leave a few words in the Amazon’s Review section. We will also be happy to hear any comments or suggestions from you. The price had troubles going down therefore we closed these orders at a small loss rather than waiting for further developments. None of our Forex signals was triggered Monday through Wednesday. 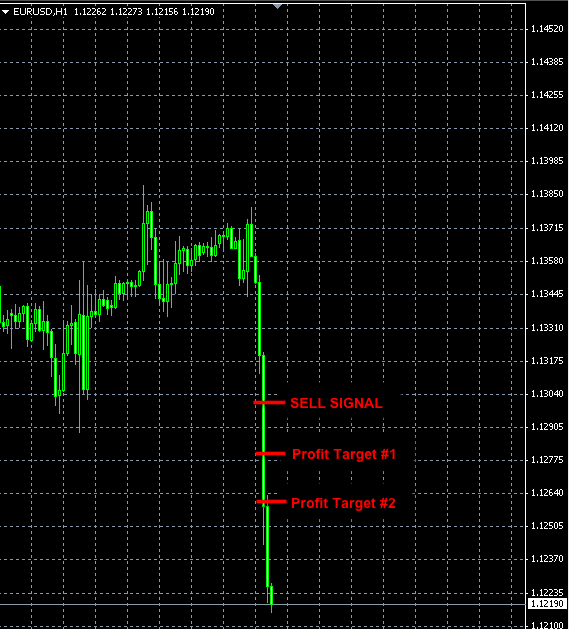 We had to cancel this signal due to the overextended risk at that time. 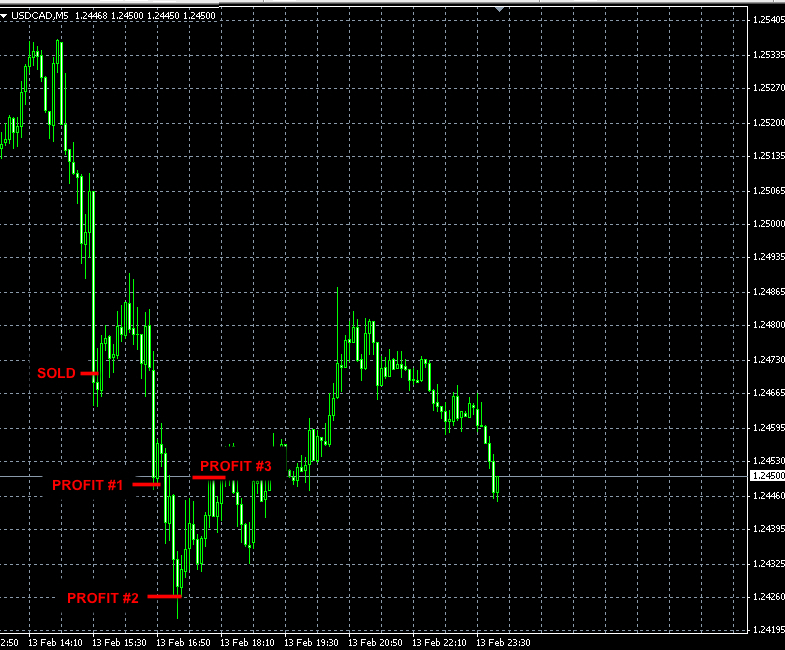 But otherwise the signal worked as shown in the chart below. 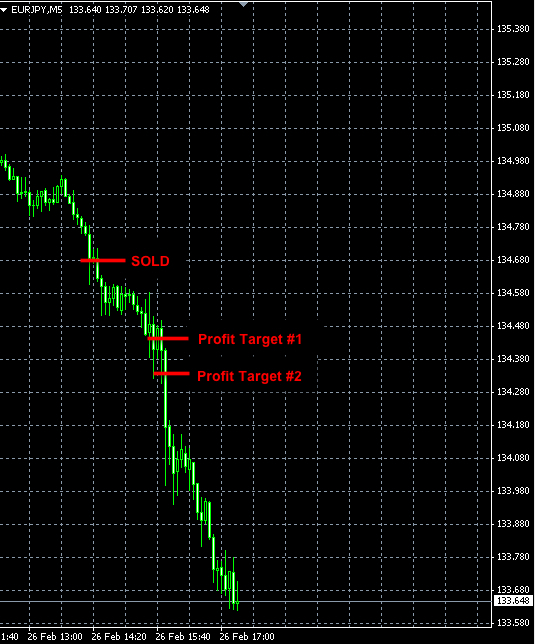 Both profit targets were reached with the 3rd unit having a trailing stop. 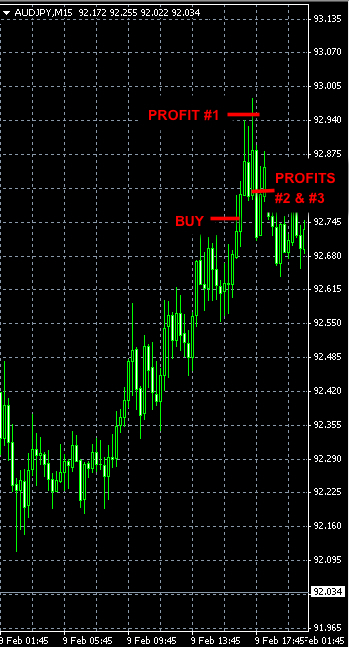 Today’s Forex signal to short CADJPY made +94 pips of profit. U.S. banks constitute a substantial part of the Forex trading volume. When they are closed the market is less liquid, which can lead to abnormal volatility and unpredictable price moves. Therefore we prefer not to trade on such days. This trade did not work as expected and was stopped out. No-gaps trading Monday through Friday. 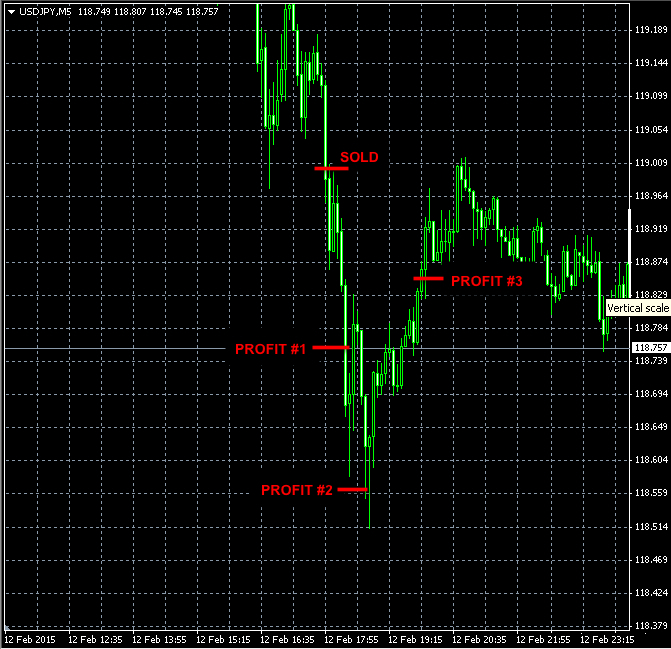 Our Wednesdays Forex signal to sell short USDJPY did not perform as expected. 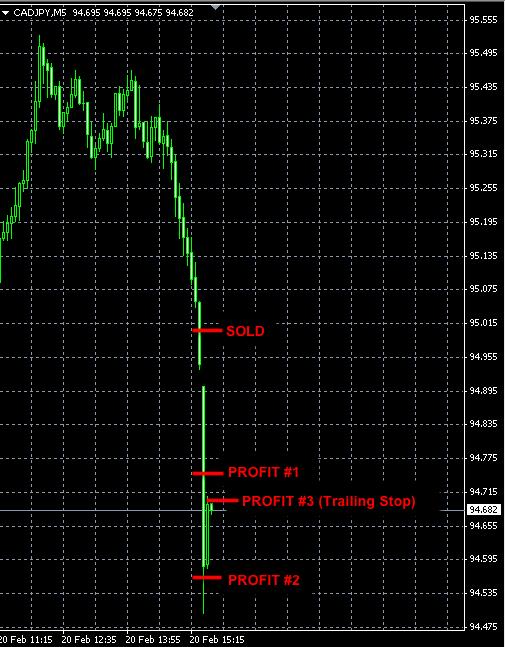 This trade was closed with -75 pips loss. No signals were triggered today. 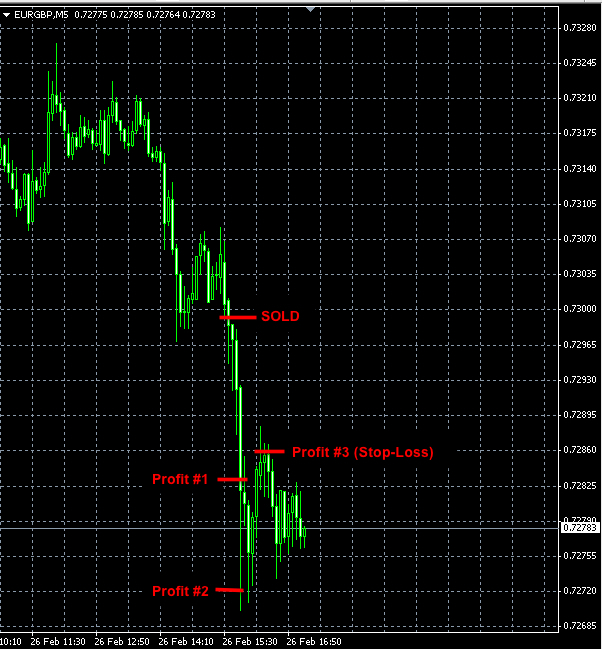 Unfortunately, losing is an indispensable part of Forex trading or any other trading for that matter. 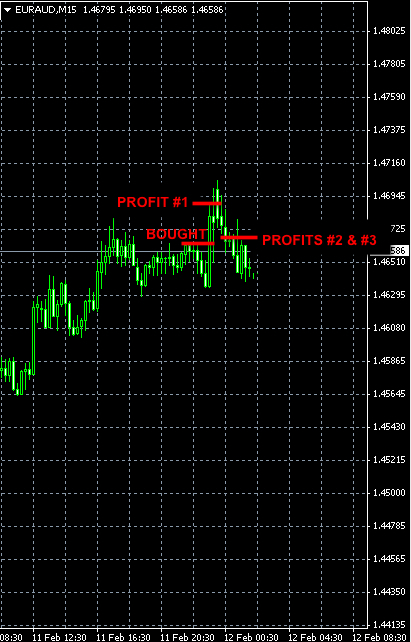 None of our Forex signals were triggered today nor yesterday.